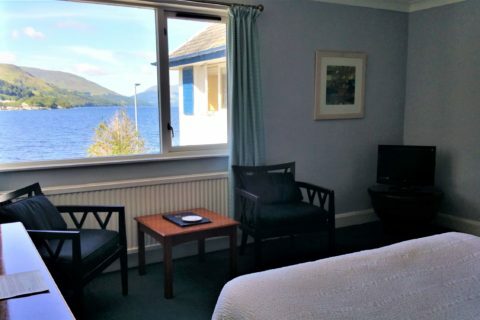 The Four Seasons Hotel in The Trossachs National Park, sits in the picturesque setting of the conservation village of Saint Fillans, Perthshire and offers a self-catering apartment, generous bedrooms and hillside chalets. 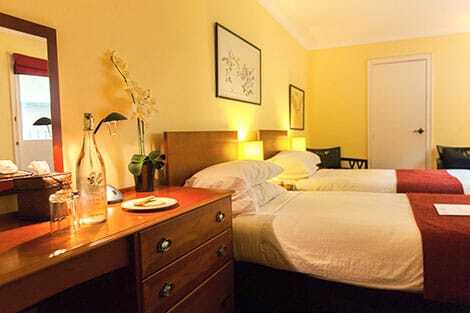 We are a small independent hotel offering individual and generous bedroom accommodation of a high standard. 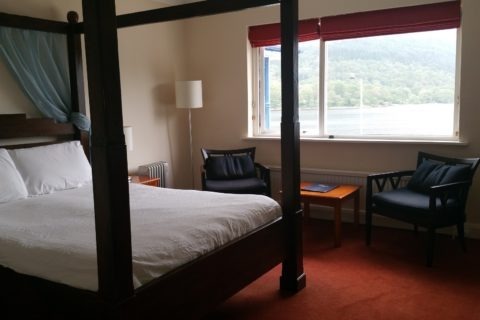 All rooms offer TV, Bose radio, some vintage CD players, telephone, hairdryer, tea and coffee making facilities and of course, en-suite bath/shower rooms. We affectionately refer to some of our bedrooms as having “Narnia” bathrooms. Our bedroom accommodation falls into categories but we will always do our best to give you the best room available. There are no single rooms only smaller doubles. The single supplement is £35 per night on the price of a 1/2 twin. you can borrow from our vast selection of wellies! Call us on 01764 685 333 to make a reservation or use the Online Booking Tab. N.B Opening Times -We re-open on 8th February in time for School Half-terms and Valentines Day !